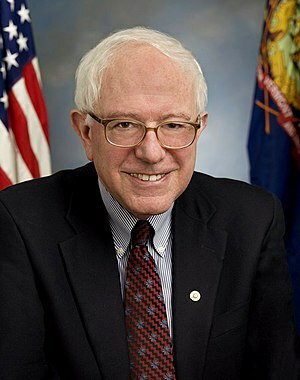 Senator Sanders, the reason why some people don’t “believe” that your job as a U.S. Senator is to represent a certain segment of society to the exclusion of some others is because the Constitution that delegated you and your fellow Senators the powers it did tells us who you are supposed to represent, and it doesn’t support your claim. Until 1913, the Constitution provided for the appointment of Senators by state legislatures. The original intent of the Founding Fathers, as documented by the “Father of the Constitution,” James Madison, in Federalist Paper #62, as an example, was for the Senate to represent the interests of the States, and to act as a check against the federal government from acting outside of its “few and defined” powers. Even with the direct election of Senators, the Constitution still prevents taking away equal representation of the States in the Senate without their consent. In addition, the Senate still retains the delegated powers to ratify all treaties and confirm all federal executive appointments, and the sole power to try all impeachments of federal officers including the President and Vice President should they act outside the law, all within the context of equal state representation.